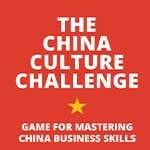 China is changing rapidly and constantly. Under Xi Jinping’s strong leadership doing business in China requires adapted up-to-date ways of working. Time to train yourself and play! Time to Train and Play! The Netherlands is a small, stable and prosperous country. Still, working with Dutch people may be less simple than you would think. Time to upgrade your business skills and communication styles. en Doe de Cultuur Test!